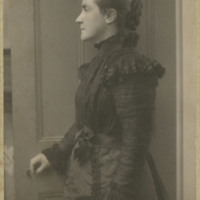 Photo of M. Carey Thomas at age about 30-35; given this, most likely the photo was actually taken between 1888 and 1893, not 1911. 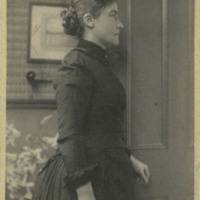 Given the similarity of this photo the PA_MCT_026, most likely the photo was actually taken between 1888 and 1893, not 1911. 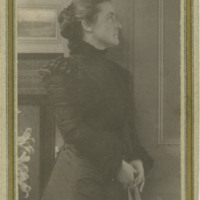 Portrait of M. Carey Thomas facing away from the camera, standing. 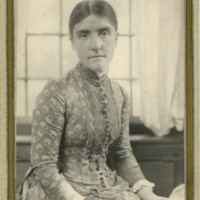 Portrait of M. Carey Thomas facing the camera. 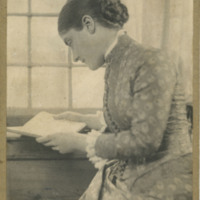 Portrait of M. Carey Thomas facing away from the camera, seated and reading a book. 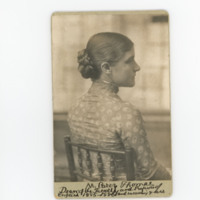 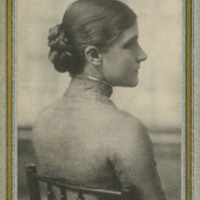 Studio portrait of M. Carey Thomas as President of Bryn Mawr College. 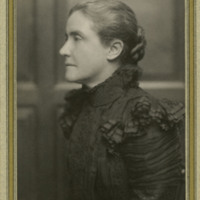 Studio portrait of M. Carey Thomas, Dean of the Faculty and Professor of English from 1885-1886 and succeeding years. 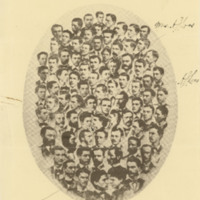 Some of the graduates , class of 1877, Cornell University; M. Carey Thomas is circled along with several others. 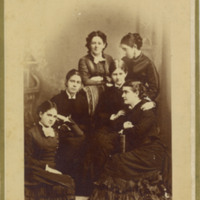 Studio portrait of M. Carey Thomas and five other young women (most likely Howland or Cornell classmates); M. Carey Thomas is seated and on the bottom right-hand side of the photograph.